Yoga enthusiasts can ground themselves in this 45-minute practice based on the tenets of hatha yoga. 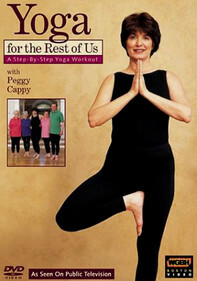 A perfect introduction to the regimen, Total Yoga: Earth features instructors Tracey Rich and Ganga White as they lead viewers through various poses (called asanas) and sun salutations that are perfectly manageable for beginners but still rewarding for regular practitioners. Learn how yoga aligns the body and promotes healthy breathing.